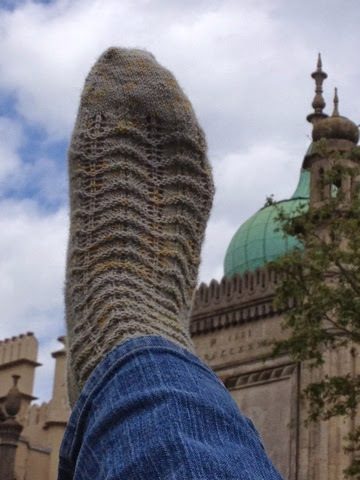 These socks started with a lovely skein of yarn from Kettle Yarn Co - her fabulous Twist sock yarn. 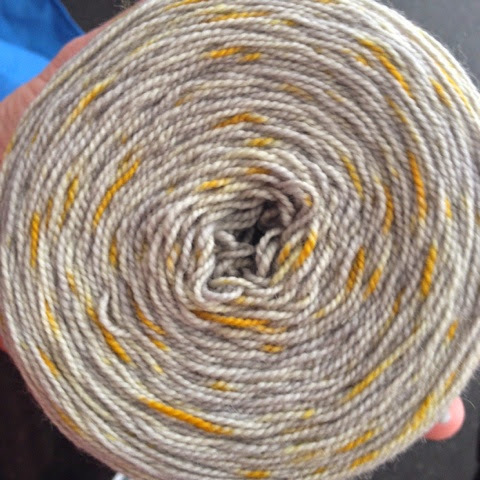 I got this yarn in my goody bag from the Small Wool Gathering last autumn, and wasn't really sure what to do with it. When the contest came along I balled it up and started playing around with stitch patterns. There was one that really stood out as a clear winner. 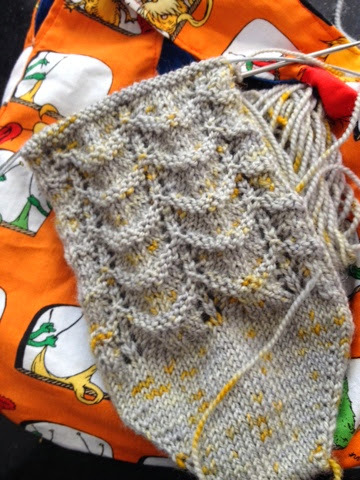 This stitch pattern is a basic chevron pattern that is broken up by two rows of reverse stockinette, creating gentle arches. I was casting about for a good name when Allison noticed that they looked a lot like the Brighton Dome, where a number of the events for Unwind are being held. 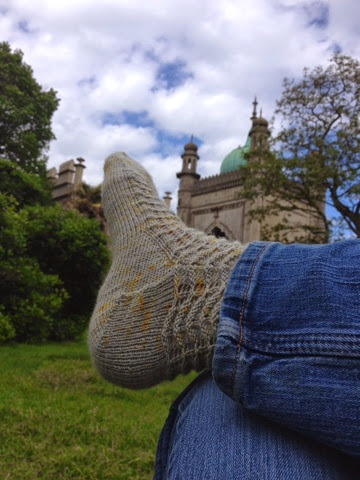 Brighton Dome socks they are for ever more. If you'd like to vote on the eight shortlisted designs, you can find the entire line up on the Unwind Brighton blog linked above. I'm thrilled to be in such good company, as the rest of the designs are gorgeous! Argh! Thanks Alicia. Should be fixed now.